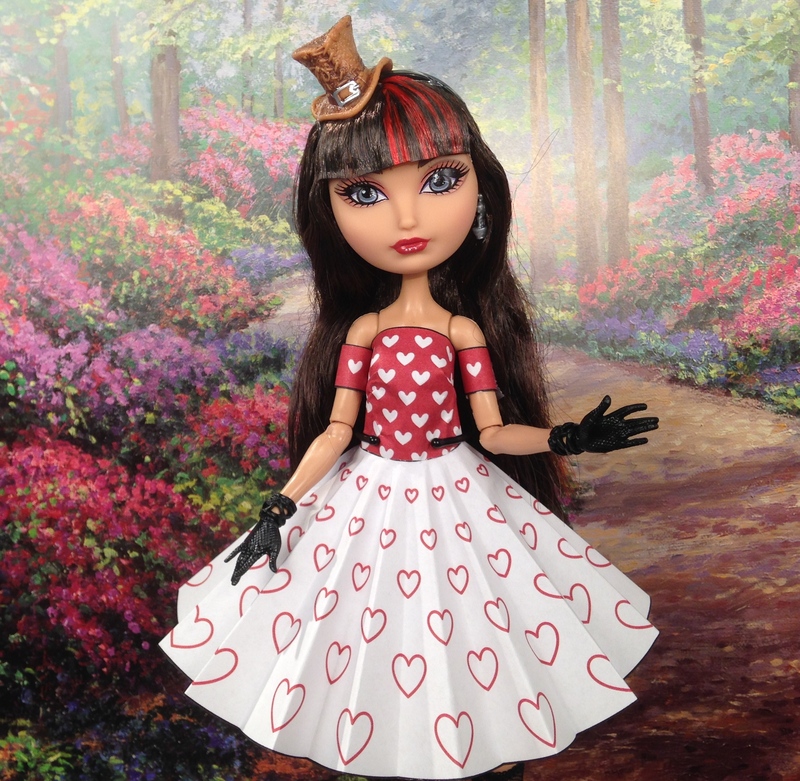 Ever After High Hat-Tastic Cerise Hood just arrived at my house:) I think she is very pretty. One of the things I love about the Ever After High doll line is the intricate details of the pieces and the way they match the doll’s story. 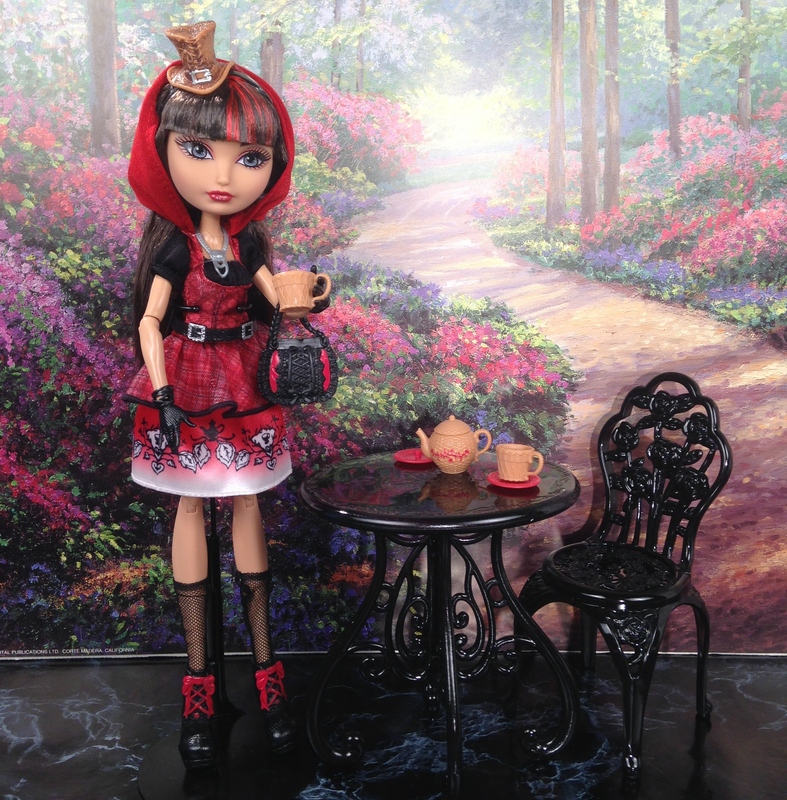 Cerise Hood’s tea set is inspired by a wicker basket to carry goodies to Grandma’s house in. Briar Beauty and Madeline Hatter came over to say “Hello”. Cerise noticed they were wearing paper dresses and decided she wanted to try one too. She liked the dress my Enchanted Evening Barbie was wearing and asked to borrow it. “It’s fun to try something new” said Cerise after I put the dress on her. And this dress is one of the new free dress downloads I just added. If your dolls would like to try it on too just click the link and print. 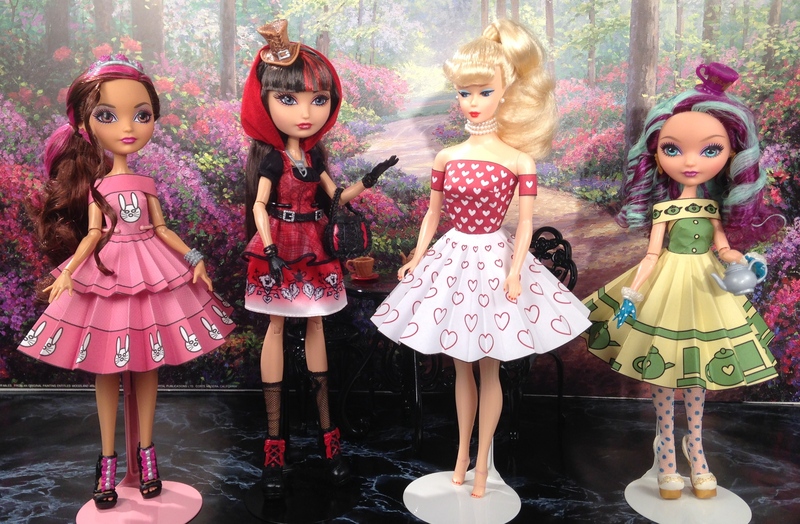 The other dresses worn by the dolls in this post are available at my Etsy Store. 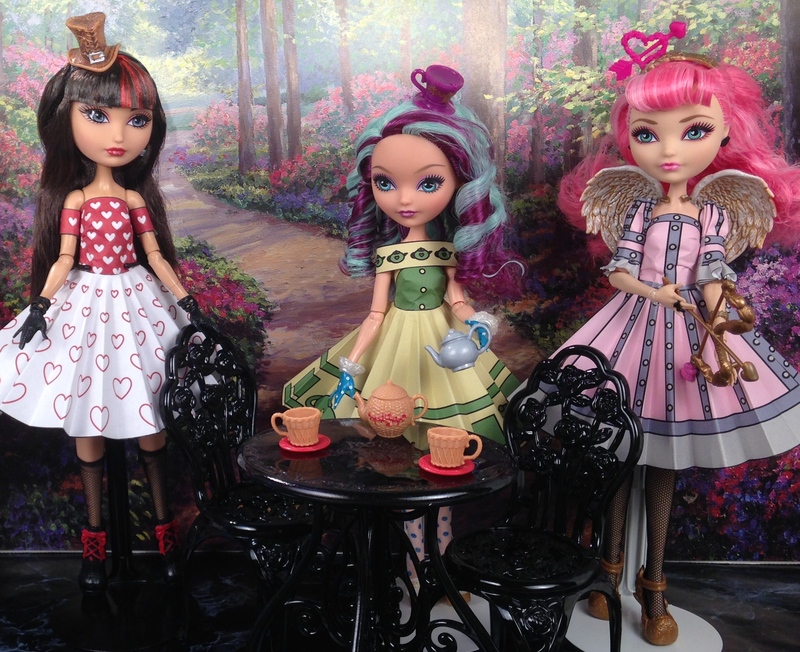 “Now we’re ready for our tea party!” said Madeline Hatter as C.A. Cupid joined the group.